At DSGW, we see every project as a possible learning experience. 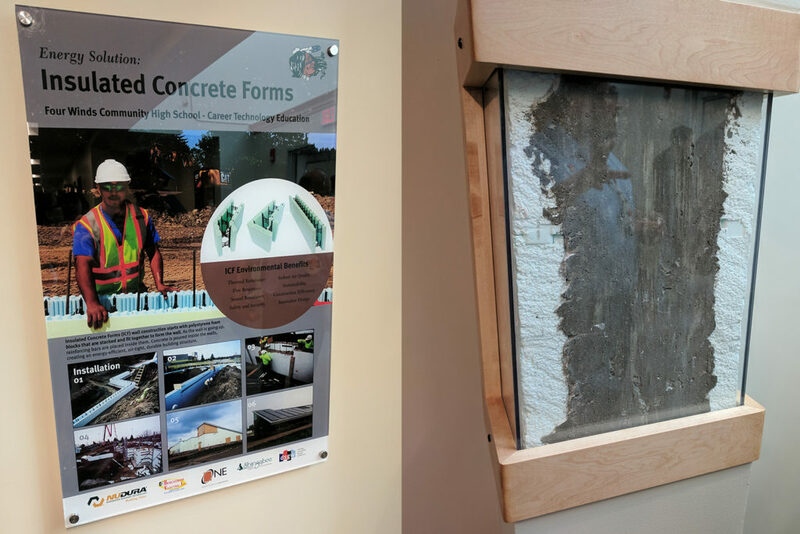 We’re constantly asking, “How can we improve the built environment?” With the Four Winds Alternative and CTE High School, the lessons continue throughout the life of the building. 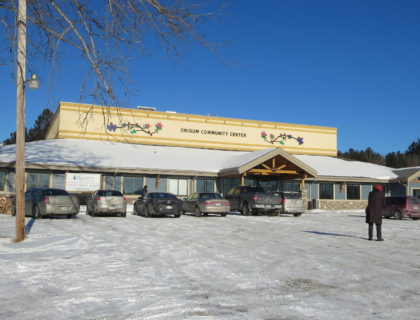 As the first net zero school on tribal land, it was the perfect opportunity to teach the students about sustainable building practices and energy use. 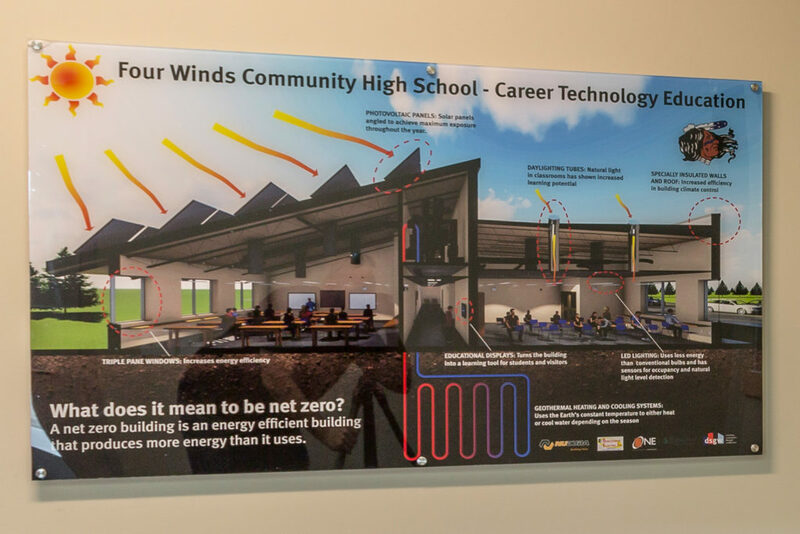 Display boards in the hallway explain what makes a net zero building possible and how it works. Understanding how everything from geothermal to solar tubes to photovoltaic panels make an impact on the Energy Use Index is important. The goal is to be able to have students give tours of their building and explain the systems to groups. 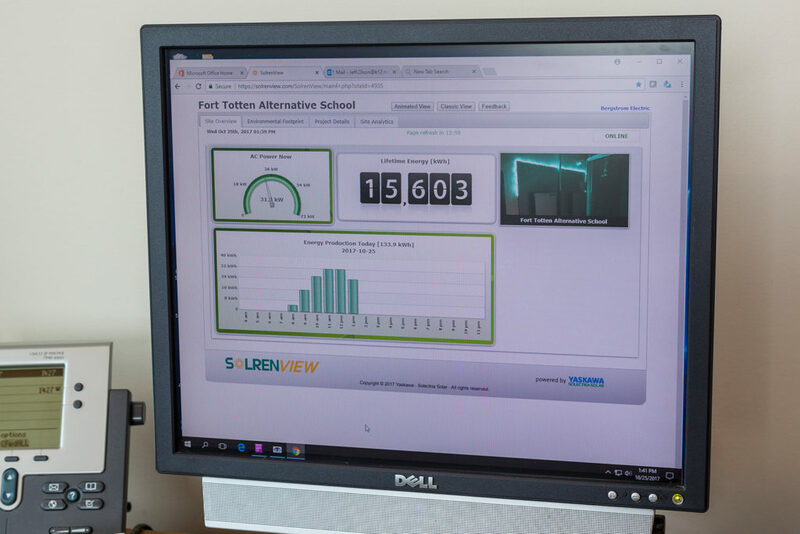 At any point of the day the students can see how much energy their school is producing by checking this website. 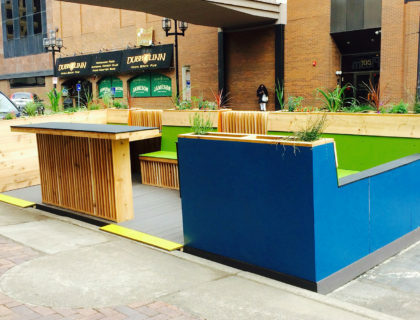 It also breaks it down into units that are more relatable such as how many electric cars it could charge or how many nights it could power the Christmas tree at Rockefeller Center. Not only is it important to understand the systems and how much energy the school is producing, but it’s also important to understand how the building was built. An exposed Insulated Concrete Form (ICF) wall section shows the students a construction method used to aid in energy efficiency.